Our success is largely due to superior design and craftsmanship from team SOLAS. Located in Taiwan, SOLAS combines world-class research and design, highly skilled workers, cost-effective material sourcing, and a technologically advanced manufacturing facility to deliver the highest quality of products to its customers. A draft amendment in Taiwan to prevent the smuggling and illegally bringing of meat products targets to raise the penalty and fine up to NT$300,000 (Php525,000) in the Article 45-1 in the Statute for Prevention and Control Of Infectious Animal Disease. The revision has been sent to the Executive Yuan for approval. For 11 days period, a total of 73 cases of attempted smuggling of meat products have been recorded in Taiwan Airport. This is to prevent animal diseases from affected countries entering Taiwan. Bureau of Animal and Plant Health Inspection and Quarantine (BAPHIQ) and Customs Administration have been strictly imposing luggage checking in airports and seaports. A total of 73 cases of attempted smuggling meat products have been recorded on a 11 day monitoring at Taiwan Airport according to Bureau of Animal and Plant Health Inspection and Quarantine (BAPHIQ). The meat products include cured meats, beef, sausages and hot dogs. Taiwan is issuing a fine up to NT$15,000 (Php26,200) against travelers (foreign tourist, local and migrant workers) that attempts to bring meat from countries affected by African swine fever and hoof-and-mouth disease. Company Name: Joker Industrial CO., Ltd.
8. Can Follow Employers instruction. On a night time raid by Taichung police, group of migrants are caught eating dog meats in a dormitory in Fongyuan District. They are a group of 17 Vietnamese (with both male and female in gender) working for water treatment plant. Two of the Vietnamese were charged for breaching the animal protection act of killing and cooking the dog. Police received a call regarding the killing of a dog, together with officials they raid the dormitory. They also saw more dog meat stew on pot as the head wrap in a plastic in the trash area of the dormitory kitchen. Police managed to save three dogs from them. Written on the Animal Protection Act of Taiwan, killing dogs or cats is punishable by law up to two years in prison with maximum fine of NT$2 million (Php3.5 million). Those eating dog or cat meat can be fined up to NT$250,000 (Php438,000). Possibly, the accused Vietnamese will be terminated the work contract and could be blacklisted. Several reports of the incident sparked anger from animal rights advocates and pet owners as they demand for severe punishments for the killing and eating of dogs or cats, whether by foreigners, migrants or locals. Jakarta, Indonesia (Oct. 29, 2018) -One of the big tragedy happened again in Indonesia. 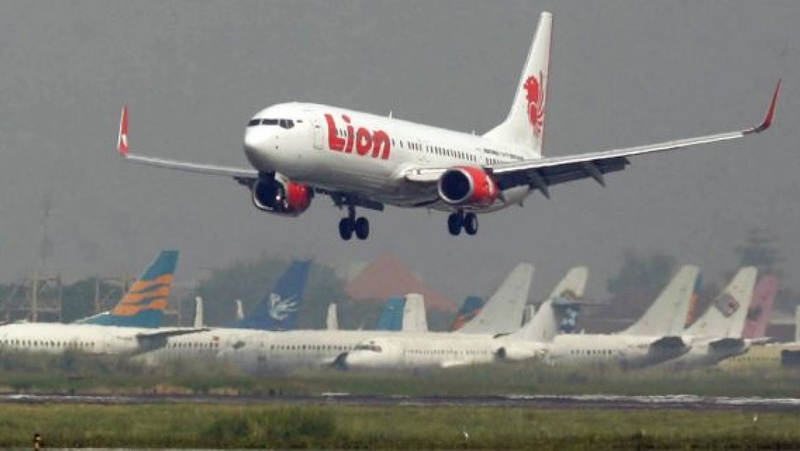 Lion Airbus 737-800 Flight JT 610 crashes this morning 10 minutes after it take off in Jakarta bound to Pangkal Pinang a Chain Island of Sumatra. The airbus take off at around 6:20 am and had crashed after 10 minutes carrying 181 passengers and 7 crew and 2 pilot. The Authorities are still doing rescue and operation on the incident. Debris, life vest and a cellphone had been recovered 2 nautical miles in west Java sea. Hiring: Machine Operators For Assab Steel Taiwan Co. Ltd. Founded in 1945, Yishengbai is a high-quality Swedish mold steel for the market, known for its high quality standards. Headquartered in Singapore, Yishengbai has nearly 50 sales offices across Asia Pacific to provide the highest quality steel for the market. As a supplier of tool steel solutions in Asia, ASSAB has the leading metallurgical processing services and technical expertise and is a pioneer and leader in the industry. To all qualified and interested please report at office of EYEQUEST INTERNATIONAL MANPOWER SERVICES INC. and bring the following original documents submit at Room 408 and look for Ms. Bernadette. Established in 1988, Quanta Computer is the largest notebook computer ODM company in the world. With leading technology and strong R&D capability, Quanta has become a leader in hi-tech markets and the best partner providing quality design and manufacturing services to top-notched brands worldwide. In recent years, Quanta continues to focus on advancing our core business, aside from introducing light-weight and fully equipped notebook computers, the Company also introduces more advanced high-performance servers in response to the increasing needs in cloud computing industry. Moreover, the Company further invests in Virtual Reality (VR), Augmented Reality (AR), and Mixed Reality (MR) areas to capture new market opportunities. Quanta also begins to develop solutions leveraging advanced technology in the medical field to further diversify the current business model and aggressively devote more resources in new fields and advanced technology. Visit and apply personally at Mission Way Manpower Services, Inc.
St.Shine Optical Company Limited is an experienced contact lens manufacturer offering a wide variety of products for domestic and international markets with innovative technology and design. From conventional lathe-cut to cast-molding, from RGP to soft contact lens, from daily to frequent replacement disposable products. The company was founded in 1981 as First Optical Co., Ltd. by a consortium of experts who have years of experience and knowledge in the contact lens industry, which includes contact lens fitting, optical designing, manufacturing, and marketing. The company was renamed as St.Shine Optical Company Limited in 1986. Visit and apply personally at Melakom Global Services Inc.
Coaling tunnel was built in 1924 during the Japanese era, the tunnel connecting Fulong of New Taipei and of Shicheng of Yilan. It is said that tunnel is the most dangerous railroad in that era. It is now the biking paradise of northern Taiwan. It takes about 10minutes ride from the train station up to the entrance of the tunnel. The tunnel has a stretch of 2,167 meter, the Fulong entrance will greet you with a artistic calligraphy above the arch. The bikeway will lead you to Magang Fishing Valleywhich is the north easternmost point of the Taiwan Island. Greeting with you are the sea views and the turtle island from the distance. Cyclists may enjoy the simple and quite scenery in the village. The tunnel is cool during summer and warm during winter. The old street of Jingtong is at the exact exit of the Jingtong Train Station. Since it starts catering visitors and tourist started to expand, the village start to have their version of souvenir shops, food stalls and abundant picturesque surroundings. It has become a trend to write prayer and wishes on a bamboo and hand them next to the railways or trees. Jingtong was once a bustling coal mining town. The small town’s name is derive from trees and bamboos which also share the same name “Jingtong”. This is where the hanging bamboo wishes came from. From Taipei Main Station, Ride Bus or Train going to TRA Ruifang Station and transfer to Pingxi Line train, ride the train going to Jingtong Station. To achieve synergy by a whale-minnow merger of King Yuan Electronics Co. Ltd and Dawning Leading Technology Co. Ltd., KYEC acquired the ailing DL-Tek. NTD456 million (Php798million) is the amount to spend to buy out the the remaining shares of DL-Tek as it shares are dipped down. KYEC already have the 33.5% share before buying out the whole remaining stocks. The deal is to formalize by November 1, 2018. KYEC is confident that it has the right resources to turnaround DL-Tek that has been struggling with a shortage of NAND flash wafers, which has led to declining sales. DL-Tek specializes in assembly of memory cards will compliment the IC testing powers of KYEC. Following the merger, DL-Tek contributes about NTD200-300Million per month in terms of revenue and boost annual sales by 15%. Employees from a Chinese Factory are given a half hour nap after linch breaks as this is an order by the boss. They claim that this napping rule is boosting the productivity levels of the employees. Bosses in Guandong, China have this idea allowing their working to literally sleep while on the job. They are allowed to settle back in their spring back chairs and grab some greatfull nap or 'idlip'. This is all part of reforms that have been implemented in China in the recent years and factories are benefiting and have increasing in productivity. They reveal that there has been a 30 per cent increase in work flow since it came. One of the leading integrated circuits packaging and testing services providers, Powertech Technology Inc in Taiwan will create more jobs when the new plant opens. It has broke grounds and started building the new plant located in northern Taiwan. Abount NTD50Billion (Php87Billion) have been invested for the new facility located in Hsinchu Science Park in Hsinchu County. The plan is to finish the construction by first half of 2020 and will create around 3000 jobs. It will have 8 stories abive ground and 2 levels underground. By building a new plant means Powertech is going up. More productions make better jobs. The Philippine Overseas Employment Administration (POEA) always remind regarding the warning of using fake, altered and fabricated documents to support application for job overseas. By using a fake document, the welfare of the OFW abroad is in danger. This could expose the worker for possible deporatation, blacklisting and detention that will deny them for applying abroad again. 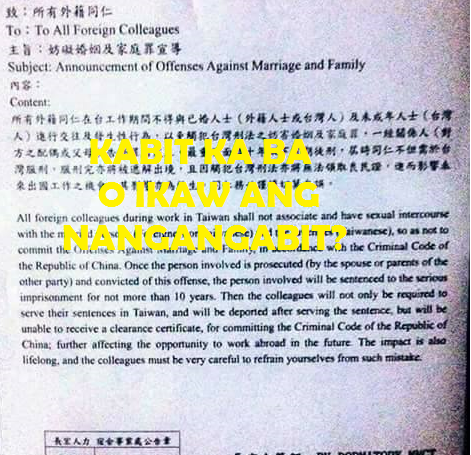 Any recruitment agencies found that tampering document could face disciplinary actions that impose penaly, suspension or permanent disqualification of the overseas employment program. Recruitment agencies should practice on checking the authenticity of every submitted document. POEA are advising OFW to report to the government office or hotlines any recruitment agencies that are responsible of accepting or tampering documents or certificates. Taiwan’s Power Lottery jackpot reached a whopping NT1.27Billion (Php2.22 Billion). Apperance of the winning combination are 15, 07, 14, 11, 06, 34. There are no winners in the power lottery in the last 44 weeks which is the main reason for the jackpot to balloon at NT1Billion. If there are no winners, the Power Lottery Jackpot will reach NT1.16Billion (Php2.03Billion) as this could be the biggest cash prize in history of Taiwan lottery. Taiwan issues public welfare lottery to help the underpreviledged, it use for raising funds for the government’s welfare resource. Taiwan Hiring: Factory Workers for LIGITEK ELECTRONICS CO., LTD.
Company: LIGITEK ELECTRONICS CO., LTD.
Ligitek Electronics designs develop and manufacture a broad range of optoelectronic components for use in a wide variety of applications. Our focus and dedication in this specialist field have resulted in significant technology advances and production process improvements providing a high level of support for our customers. Established in 1988, Gemtek Technology Co., Ltd. (TWSE Stock Code 4906) is one of Taiwan’s leading companies in the Wireless Communications Technologies Industry, and remains steadfast in its chief position, constantly striving to perpetuate its legacy in this field. Over the years, Gemtek has transformed itself into a top-notch Original Design Manufacturer (ODM) for total solution providers. Gemtek employs an outstanding team of experienced research and development professionals and is one of the few manufacturers in Taiwan that offer key technologies for Wireless Area Network and Broadband Network products. 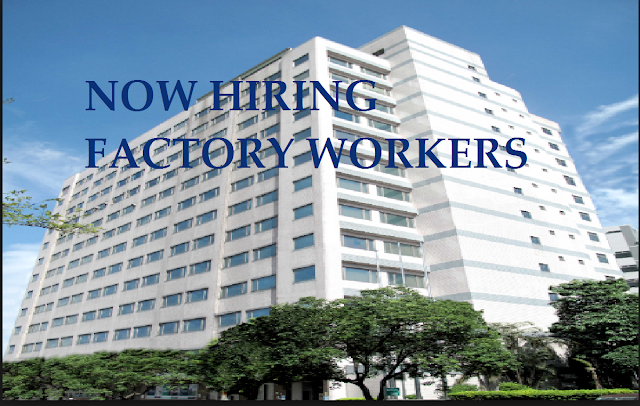 Visit and apply personally at Eyequest International Manpower agency at Vareb Mansion, Mabini St., Ermita, Manila. Yilan,Taiwan -(Updated) As of 9:35 pm Oct. 21, 2018. 22 were confirmed dead and 171 injured after the train Puyuma Express 6432 was derailed near the East Coast of Yilan County. 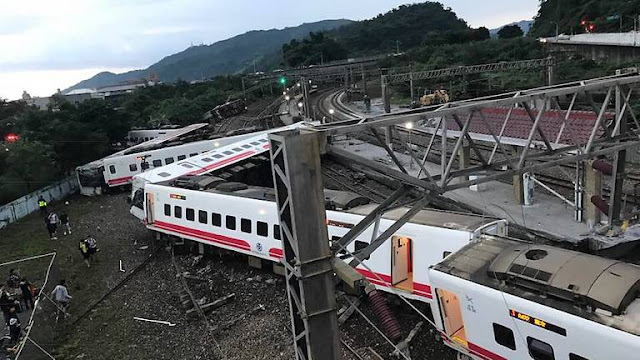 The train was travelling from New Taipei bound to Taitung and had been derailed at around 4:50pm in the East coast of Yilan County Taiwan. No OFW had been involved on the said accident. Yilan,Taiwan - As of 8pm Oct. 21, 2018. 18 were confirmed dead and 126 injured after the train Puyuma Express 6432 was derailed near the East Coast of Yilan County. In response to meat smuggling and other Agricultural product to Taiwan. The Council of Agriculture (COA) is about to amend the law from current fine of NT$15,000 to NT$300,000. And expected to pass by Legislative Yuan in one to two months. 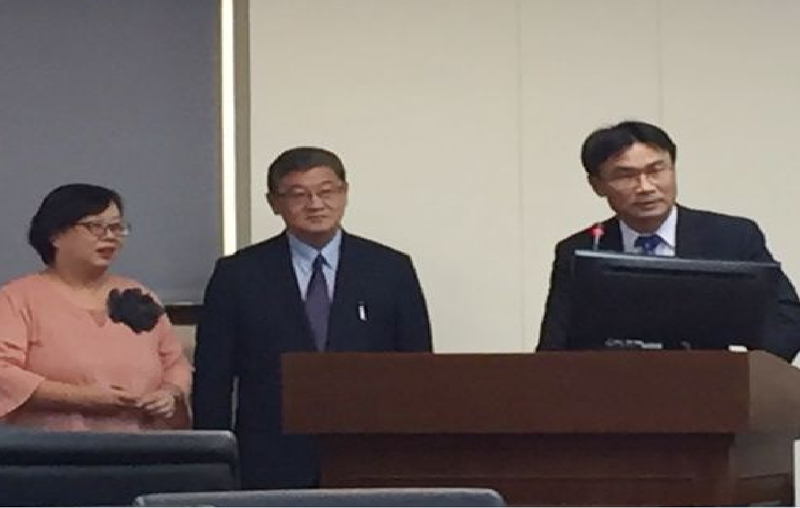 According to COA Deputy Minister Chen Chi-Chung (陳吉仲), they will present a new amend draft bill to the Executive Yuan to amend current the law and imposed a heavier fine. Effective Oct. 18, 2018. A Travellers who will be caught carrying meat products, whether raw or processed are subject to fine NT$18,000. Taiwan is now very strict when it comes to meat smuggling because of the African swine fever disease that had spread to eight provinces of China and the situation is deteriorating. And in less than a month, 25,000 of pigs in China had been culled due to the ASF disease. Founded in 1981, MLI is an innovator in the pellicle manufacturing industry and is the leading supplier of pellicles in the world. With three technologically advanced production facilities strategically located in the US and Asia, MLI can supply global demand for pellicles six times over. MLI's high end facilities are equipped with modern CAD/CAM equipment for the production of frames and engineering parts, automatic anodizing lines, and chemical labs for research and development efforts. With nearly four decades of innovation and customer support experience, MLI can respond quickly to a variety of customer needs in addition to changing requirements in microlithographic technology. Visit and apply personally at September Star at 4F Great Realty Bldg, Brgy San Isidro, Makati Citu, Manila. Asiatic Fiber Corporation (AFC®) was founded in 1973. Over the past four decades, we’ve emerged as a leader in the Taiwan industry to a player in the global market. 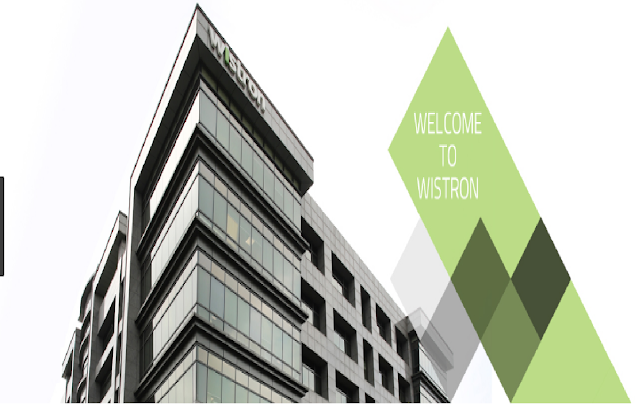 Due to our extensive experience in the industry, we have become a pioneer and leader in the field of cleanroom and anti-static products in Asia. Visit Infinity International Manpower Services at No. 28, MIP Bldg., GSIS Village, Project 8, Quezon City, Manila. Some travel agency include “opportunity to hunt job abroad” in their tour packages. If a travel agency is found illegal recruiting applicants, the agency will be closed down and the owner will be prosecuted. Under Republic Act No. 8042 as amended by Republic Act No. 10022, offering an overseas employment / job by visa assistance without license or without authority from POEA is considered as illegal recruitment and is punishable by law. Applicants should validate the authenticity of job offers through the verification system of poea.gov.phor POEA hotlines or visit the nearest POEA office in Manila or POEA regional offices. Company: Sentec E&E Co. Ltd.
Sentec has always adhered to the constant principles of sincerity and honesty to manage the enterprise. The ultimate goal is to purify the living environment and upgrade the quality of life for all the human beings. Visit Eyequest International Manpower agencypersonally for line up at 3rd/4th flr, Vareb Mansion, Mabini St cor Malval St., Malate, Manila. COMPEQ MANUFACTURING CO., LTD. was established in August 1973 in Luzhu Township, Taoyuan County. It was the first printed circuit board in Taiwan to respond to the government's development of high-tech strategic industrial policy (Printed Circuit Board). PCB) professional manufacturing company, mainly in the production of single and double-sided printed circuit boards, through continuous technical research and development, began mass production of more than 6 layers of computer printed circuit boards in 1983, leading the Taiwanese printed circuit board industry towards multiple layers Board development. EVA Technologies Co., Ltd. was established in 1994 beginning with single-sided and double-sided printed circuit board materials. Its main business covers the drilling machinery OEM. In 2003 it purchased the laser machine and restructured to deal with HDI laser drilling process. In 2004 the company plunged into R & D of the structure loaded version laser drilling process. In 2006 the company went public in 1995. In October it went log emerged. The main controllers are Chairman and General Manager Sun Jiacheng couple and Director Chen Xiuqin (Chairman of Proactive Electronics). The company's major competitors are the domestic OEMs of professional laser drilling. Its three major customers are Unimicron, Yaohua and Zhi Chao. Forhouse Corporation was renamed to Darwin Precisions Corporation since 2015. Darwin was established in 1989. The company has upheld the spirit of innovation and solid professional technology since its startup and is devoted to R&D and technology development in the optoelectronic and display industry. With the rapid development of the entire industry, Forhouse integrates resources and extends core technology to invest in the R&D of backlight modules. Under the strategic leadership of the management team and the efforts of staff, Forhouse continues to make breakthroughs and face challenges, grow and prosper, and become a domestic leader in the backlight module industry. Ardentec provides semiconductor testing solutions in memory, logic, and mixed-signal ICs to integrated device manufacturers (IDMs), pure play wafer foundry companies, and fabless design companies. The primary service focus at Ardentec is on wafer test. Interested qualified applicants may apply before the date of interview and bring your supporting documents in JS Contractor office at Magallanes St., Intramuros, Manila. One bear Museum has a collection of thousand teddy bears as these are owner’s private collection. There is an incredibly old teddy bear and some are in resemblance of some famous personalities. Also this is the home of the biggest and expensive teddy bear, the Taiwan Grizzly bear. One Bear Museum is open from Tuesday to Sunday (09:00am to 05:30pm). Closed during Monday for maintenance, ticket sales is up to 04:00pm only. Ticket price is at NT280 (Php488) for adult, NT180 (Php314) for children age 3-12 years old and for senior citizen age 65years old and above and for mentally handicapped. All ticket price include a merchandise voucher value worth NT100. Free admission for aged 3years old and younger and must be accompanied by adult. The museum controls the number of people entering the hall is per batch for every 20minutes. This is for everyone to enjoy and to have a good picture on every bear. One Bear Museum is walking distance from Big City / Sogo, from Hsinchu TRA station you may take the Big City shuttle bus and walk going to the museum.